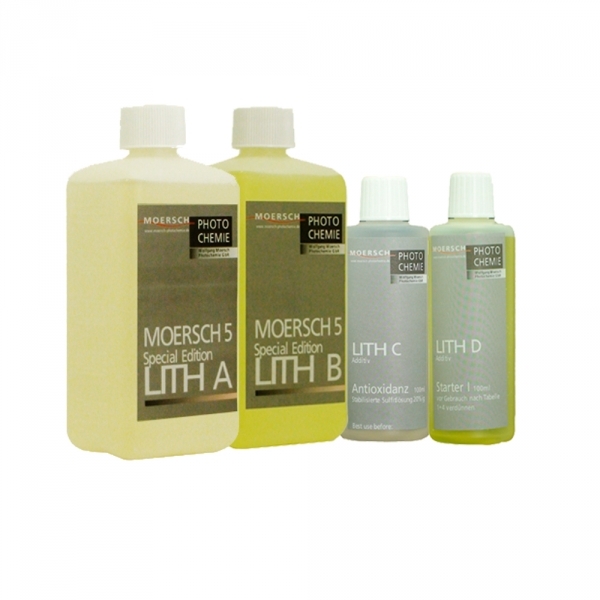 Moersch photographic chemicals is a unique chemical line made in Germany created for the fine art printer. 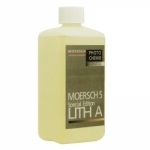 Moersch SE5 Master Lith Kit contains chemicals for the lith paper printing technique. 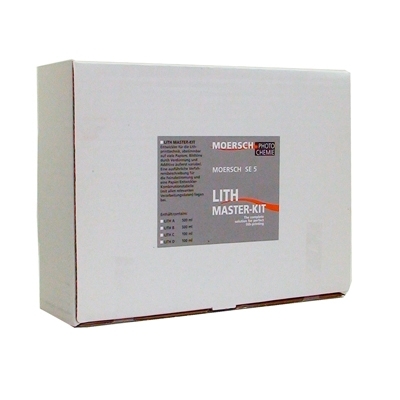 Image tone can be varied widely with different dilutions and the additives that are included in the Master Set. Complete instructions for use and fine adjustments for creating different effects with different paper/developer combinations are included. 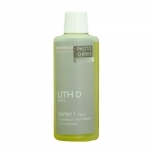 With the included Additives, the lith effect can be reduced or increased as you like. 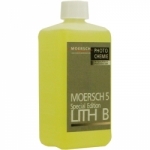 You can also turn it completely off, so that the lith developer works more like a brown toner.